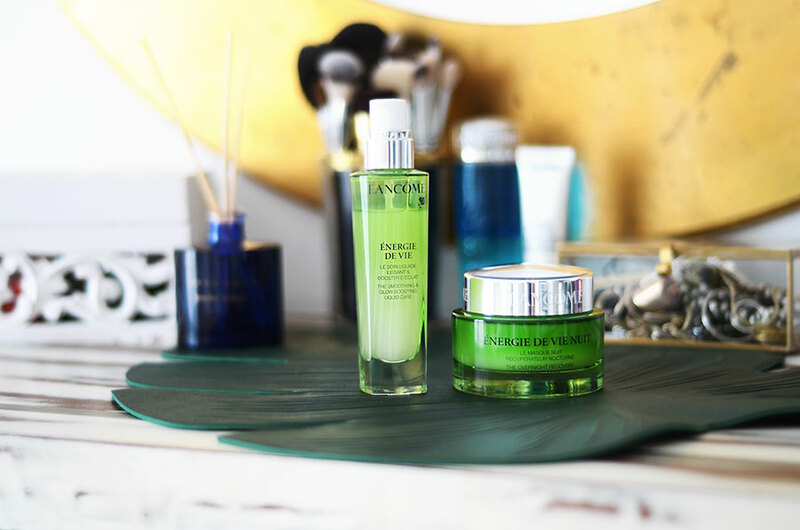 I think it is pretty ironic, that the reason I have been quiet on the blog front is down to having an intense lifestyle (giving me absolutely zero time to blog) and my first post back on the blogging bandwagon, is from my loves over at Lancome & their new amazing skincare range – made of unstoppable energy don’t you know! If you could actually bottle unstoppable energy, I would be the first in line to buy a life time supply. 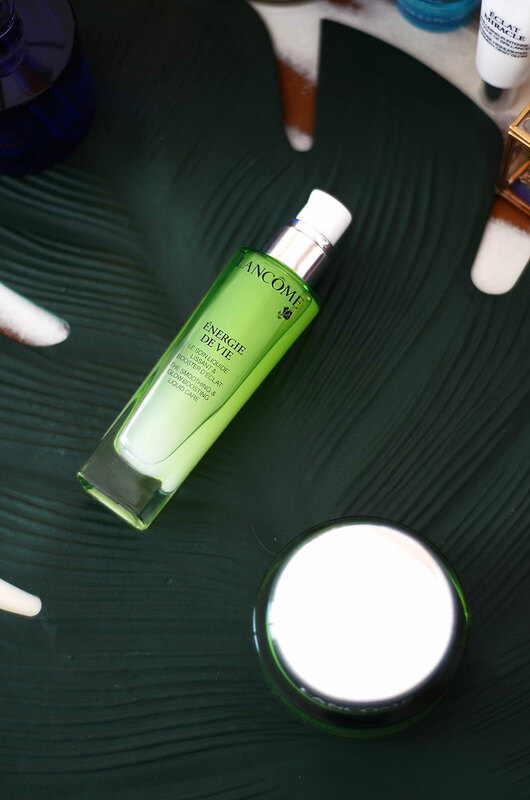 Lancome have gotten pretty close with these new skincare gems. Say hello to Énergie De Vie. I received this collection before it was available, I couldn’t talk about it, I wasn’t even allowed to whisper about it. 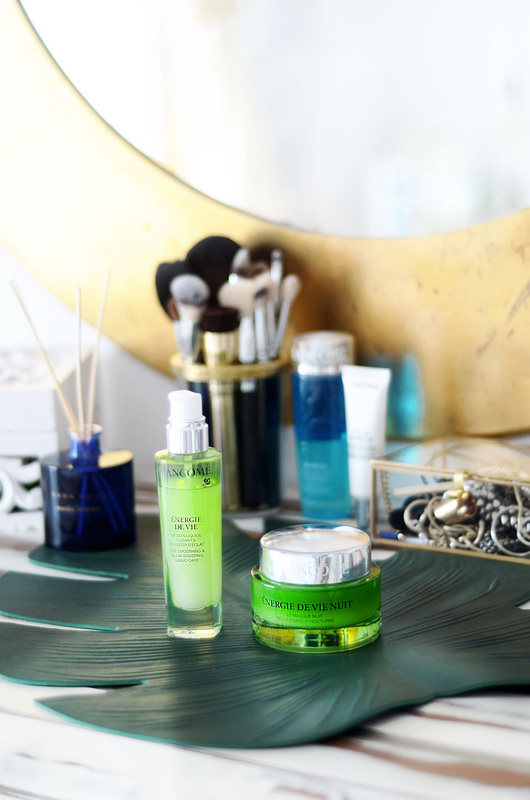 After a month of testing out the new Énergie de Vie range, I can now SHOUT about it. From the roof tops and everything. The key to that glowing, I have slept for 8 full hours, skin is hydration. Packed with goji berry extract and lemon balm oil, these fab ingredients ensure your skin looks great the instance you wake up. If I am over worked, not sleeping very well or burning the candle at both ends the first place this shows is in my skin. The Énergie de Vie Liquid Moisturiser has become my new best friend. I cannot quite grasp the texture, it is unreal. It feels JUST like a serum, so light and water like, that it is hard to believe that it is a moisturiser. 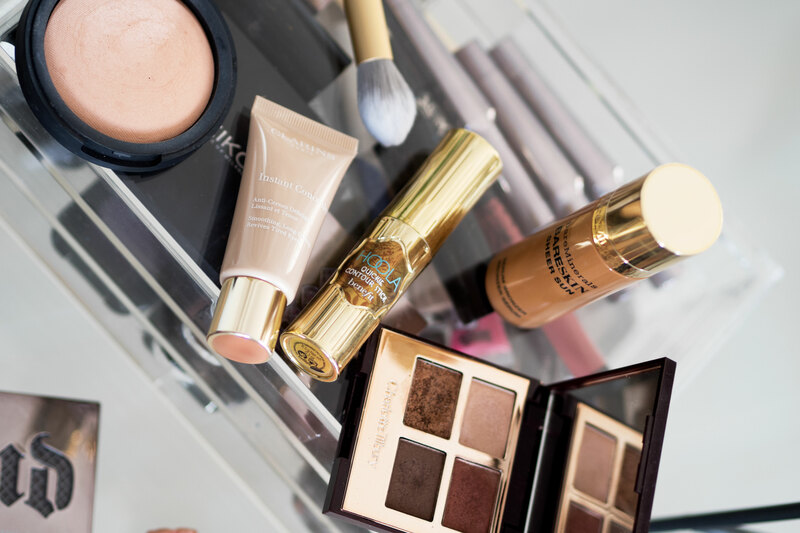 The liquid texture just sinks right into your skin, providing a fabulous base for your make-up. I love how soft and smooth my skin feels from using this. Strokes face. As you can see from the bottle I have only used a small amount, and I have had this for exactly a month guys, and I have been using it most mornings. 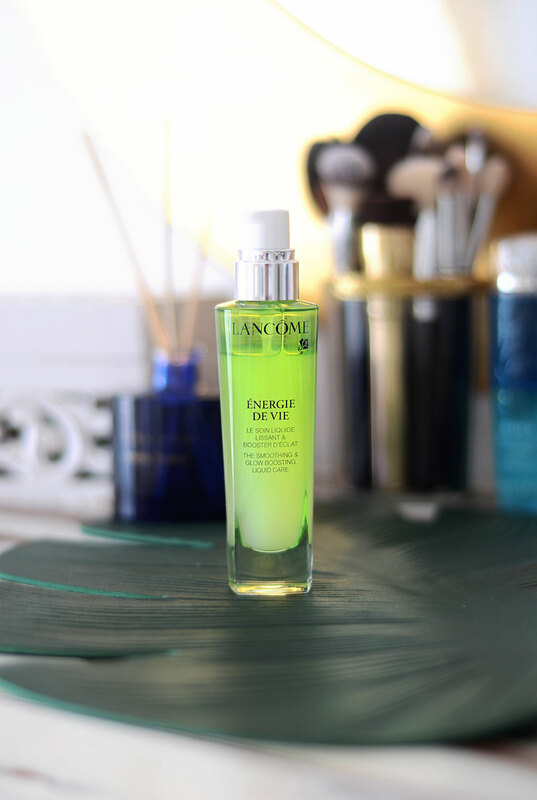 Lancome say you can use up to two drops, but I find just one little pump is more than enough. This will last such a long time, great, great value for money here. 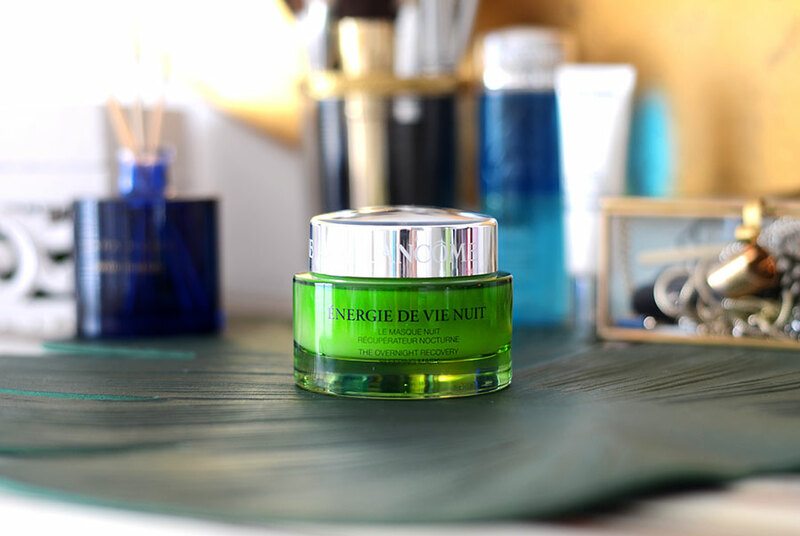 When my skin needs an intense kick up the bottom, a true wake up call, this is when I use the Energie de Vie Sleeping Mask in place of my night cream. It smells insane! Such a lovely fragrance for a skincare product. It has a similar texture to the Lancome Visionnaire Nuit Beauty Sleep Perfector (Review here) but much, much lighter. The melt in texture transforms with the heat of your skin, instantly breaking into hydrating water droplets. If you don’t like the idea of sleeping in a mask you can simply leave a generous amount on the skin for ten minutes and then tissue it off. Whenever I use this, the next day, my skin is like brand new, all about that healthy glow. These two products are more than a staple in my skincare routine, I swear by them and use them religiously. I may have a soft spot for the lime green packaging too, it just so happens to be my favourite colour…. What are your thoughts on this range? Would you try it?